Dr. Hareet Kumar Meena has obtained his various academic degrees from Pilani and University of Rajasthan (Jaipur). He did his graduation from Rajasthan University and obtained his Doctoral degree (2011) from the same prestigious and oldest institution of Rajasthan.He was granted Rajiv Gandhi National Fellowship (Delhi University) to carry out his research work. His field of specialization is Modern Indian History and he is actively engaged in teaching PG & UG classes for more than eight years. 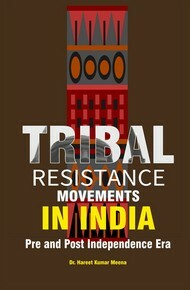 He has keen interest in colonial economic infrastructure, tribal resistance movements in 18th-19th century and genesis of revolutionary ideas in British period. His academic credentials include thirty-tworesearch papers published in indexed international journals and reference books. Recently, his two research papers have been published in reputed Social Sciences Journals of USA. To develop the learning-teaching skills he has participated and presented research papers in thirty-seven National/International conferences. Apart from this, he has also authored a book entitled Primitive Tribes of India. 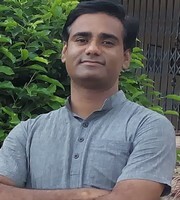 Presently, he is appointed as Assistant Professor in Department of History at Indira Gandhi National Tribal University (Amarkantak, Madhya Pradesh). The sole motto of his working culture is little work every day, adds up to big results.